Get the audiobook as individual MP3s. Get the audiobook as a single MP3. This audiobook of Wheel Publicaton No. 170 contains several short essays, one by the editor, Ven. Nyanaponika, and three by lay practitioners on one of the lesser known and too-little practiced sublime states of mind. 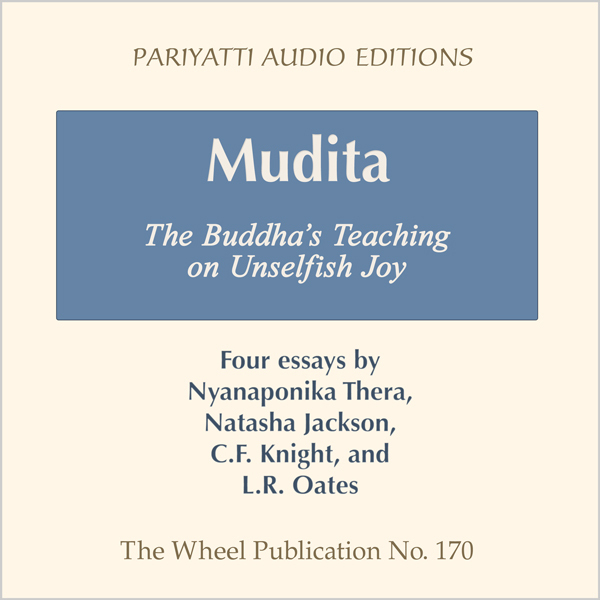 Mudita, usually translated "sympathetic joy," was designated one of the brahma-viharas by the Buddha, one of the sublime, noble states of mind. 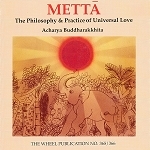 How is it to be practiced and what are the implications of mudita on the spiritual path? These essays address those questions. Stream the audio using the audio player below or download as multiple MP3s or a single, long MP3 file (Duration: 71 minutes). Check out our complete audiobook catalog.